Developing nations want to become developed nations. Every nation sincerely desires peace; and all nations pursue courses which if persisted in, must make peace impossible. As the First World War made painfully clear, when politicians and generals lead nations into war, they almost invariably assume swift victory, and have a remarkably enduring tendency not to foresee problems that, in hindsight, seem obvious. Few Americans realize it, but the United Nations is driving to take control over the Internet. You remember, the folks who want a worldwide income tax and who put Syria and Iran on their Human Rights Committee. Just as an individual’s ability to delay gratification at a young age is a powerful predictor of future academic and professional achievement, discipline is also central to the long-run economic health of nations. 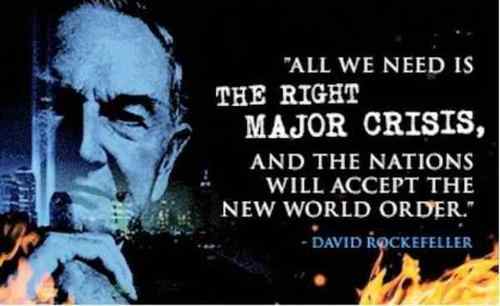 All we need is the right major crisis, and the nations will accept the New World Order. I cannot say that the attitude of the United Nations always is for the Israeli attitude. Israel, I think, has been under severe attacks by members of the United Nations many times. Had we taken all of Iraq, we would have been like a dinosaur in the tar pit – we would still be there, and we, not the United Nations, would be bearing the costs of that occupation. I imagine an America that can actually change. That we become a nation that prospers again but without pillaging the resources of nations that make their people hate us. That we become a nation that, as the constitution says in its preamble, its very first paragraph, ‘promotes the general welfare’ of its people. Food prices are often kept artificially high. The result is that the Millennium Development Goals set out by the United Nations at the start of the new millennium are not being reached. Fine words have not yet been turned into deeds. You can tell the ideals of a nation by its advertisements. There comes a time in the history of nations when their peoples must become fully reconciled to their past if they are to go forward with confidence to embrace their future. If Australia wants an effective United Nations, we have to be comprehensively, not marginally, engaged. Only to the extent that men desire peace and brotherhood can the world be made better. No peace even though temporarily obtained, will be permanent, whether to individuals or nations, unless it is built upon the solid foundation of eternal principles. What happened to Haiti is a threat that could happen anywhere in the Caribbean to these island nations, you know, because of global warming, because of climate change and all this. Half a world away nations that once lived under oppression and tyranny are now budding democracies due in large part to America ‘s leadership and the sacrifices of our military. China is one of the world’s greatest proliferators of weapons of mass destruction to these rogue nations.